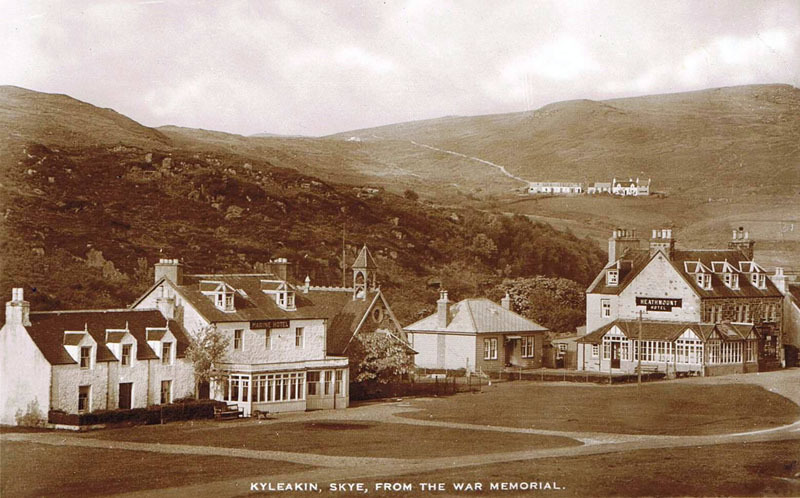 Early 1950's - Kyleakin from the War Memorial. Note the path to the reservoir from Kyle Farm, Seaview Cottage (first left) was replaced by the Marine Hotel dining room during the late 1950's. Heathmount Hotel (now Saucy Mary's) - also the bungalow between the Hotel and the Church was the Triton Hotel and is now the extension to Saucy Mary's.